Logistics is an integral part of Australia’s economy. Without the vast and complex procedures that involve people, supplies, facilities, goods, transport, plus a lot more, Australia wouldn’t function like we know it to do now. Logistics also covers the method of coordinating, purchasing and the moving of resources like manpower, materials, equipment and so on. This job requires that the logistician have B2B experience with the interstate transport industry or freight management to enable them to analyse the supply chain of customers. They must also be able to create a business proposal, monitor and meet sales budgets. For skills and background, they should also have experience in the field of solutions-based selling, have a good track record in exceeding targets, an ability to deal with business people involved in the various level of management and a very well structured planning approach that would help the company grow. This role requires people to be multi-talented – a warehouse manager should also possess the skills of a logistics manager. As a warehouse and logistics manager, you are in charge of everything that moves inside and outside your warehouse including the supply chain – from inventory, logistics, and managing transport. You must know everything in your warehouse and should be an expert in storing and dispatching goods through coordination inside and outside your organisation. Building business relationships with your customers, your people, and other businesses is also important. In some companies, a warehouse and logistics manager is also required to have the technical background and have a license to drive warehouse equipment. Strong background in import and export laws including international trade systems is also a must for some companies. 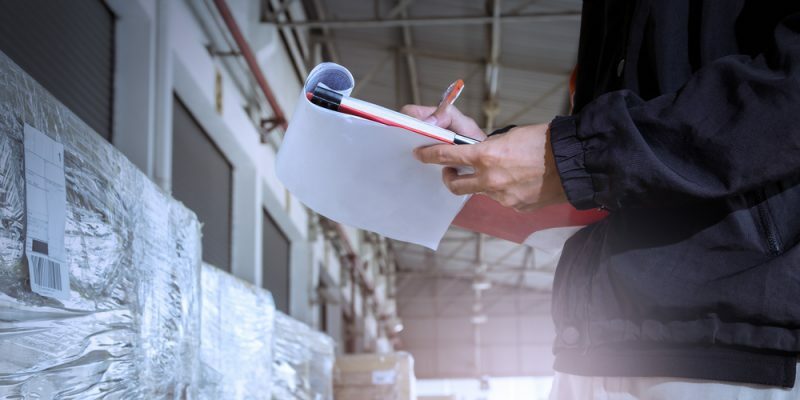 Regular tasks could include planning a structured process to apply when purchasing and distributing products, while also maintaining records with regards to orders, production and in the transportation of goods. In this case, you must have a solid collaboration with your personnel, clients and also your company’s stakeholders. Most companies seek supply and logistics officers who are very creative in solving problems, have leadership qualities, are critical thinkers, and have a high-level of coordination and organisational skills. A logistics manager’s job will depend on the organisation’s needs. There are instances that you will be in charge of the distribution and storage of goods or developing plans for the importation or exportation of products or raw materials. You may also be responsible for scouting and employing contractors to include in your supply chain. Your role will play a big part in the smooth transition of almost every activity in your organisation. That’s why you must have the ability to know what needs to be done, who needs to be contacted, what should be purchased, etc. You must also be across performance efficiencies in your supply chains, so that you know what strategies to take so you don’t get left short in staff, equipment, supply, transportation and other things to keep your organisation going. As a logistics coordinator, you will be in charge of all of the logistics activities required by your company which includes planning, organising, managing the implementation of your program and creating reports for your executives. Other than these, part of your job will also include order processing for your customers and communicating with sellers and business people for the items you need to deliver. You must also be in constant communication with your personnel such as your customer service representatives, shippers and warehouse personnel, as well as those who deliver your company’s goods. If necessary, you will also be assisting clients with product selections and pricing so that transporting their goods will be smoother and on-time. Want to know more about logistics, or looking for refrigerated transport around Brisbane? Get in touch with us today.